Do the rules apply to -everyone- even Newbies? Yes. The rules apply to everyone. That is why the rules are set. What if a packmember breaks a rule? Inform the ALPHA/BETA as soon as you can. Members are not above the rules. Do I need to get mIRC to Role Play with you? It isn’t necessary but we highly recommend mIRC because of the customization! You can use our free java chat client here. Can I join your pack and be in another pack as well? No. Our pack is a ONE family wolf pack. This means that you can NOT join WolfSpirits if you are already a member / soon to be member of another wolf pack on irc. You are however welcome to role play (or join) a pack that is strictly forum rpg / board rpg. Join the OOC channel #WS_OOC to ask more about whats going on and what you should do. Make sure that you read the pack rules. Ask Questions! Everyone is here to help you so don’t be afraid to ask for help. If you wish to join the pack see the join page and fill out the application to join. All new wolves must be at least the age of 1 year. If you desire to role play a pup then we ask that you wait until the next breeding season and any breeding pairs who are looking for Role Players, you may apply to role play a pup. This will be the only means in which you can role play a pup. We do not mind other wolves visiting our pack if you belong to another. It keeps companionship wide spread and alliances met. We gladly accept visiting members of other packs. There are only a few small things we ask in return for your humble company within the clearing. Please leave other pack drama at the door. Unless it directly involves us please don’t bring it to our pack channels let alone IC (In Character). Members, assessments and pledges are responsible for reading and understanding the pack rules. If you have a question, please contact the Alpha. If you advertise ON PURPOSE you will be kicked. If you are asked to stop the discussion and you presist you WILL be banned. Idling is when you sit in our channels without indicating that you are away from the computer and you sit in the channel for a lengthy amount of time without being marked as away. If you are idling for more then 1 hour we will kick you. Metagaming is using knowledge of what’s happening in the rp that your character couldn’t, shouldn’t, or wouldn’t know but still acting on it. So if you see us talking about something in the OOC channel that is going on in the In character channel, you can’t join our IC channel with that knowledge and have your character act it out or instantly respond in relation to what’s going on ic. A LOA can be requested if you know you will be gone or any given amount of time from the clearing or internet. The length of time given is up to 3 months. If you are gone for more than 3 months without word you will be dropped no matter the position you hold in the pack. You will have the ability to re-pledge when you are able to come back and be active again. A LOA is not only courteous but it keeps the Alpha(s) and/or Beta(s) informed of where you are and are aware that you are gone so you will not be placed as InActive. To request a LOA you must consult the Alpha(s) and/or Beta(s). This can be through the website, memo, email or online (IRC). The Wolf Spirits pack is a serious pack when it comes to family. With that the pledge/assessment period(s) are taken seriously. We rely highly on the devotion of a wolf and how much of that devotion is showed to the pack by attendance. Below are a few tips on how you can keep from being dropped as a packmember, assessment or pledge due to inactivity. Show your dedicated by being with the pack as much as you possibly can. Humans take over our wolven lives, that’s understandable, but attendance is key if you want to advance as quickly as you can to become a member. Devotion – being present within the clearing your able to grow bonds with the wolves of WolfSpirits and to your future home. Devotion is looked highly upon when deciding when to drop a wolf due to absence. Going Some Where? TELL THE ALPHAS! If you have to go somewhere for a long period of time, -please- notify someone about your being gone. If not the Alpha(s) or Beta(s) at least a packmember. There’s no excuse for not telling SOMEONE that your going to be gone. A wolf cannot have wings or magical elements. You must be a real wolf (including keeping in the guidelines of a real wolf such as weight/eye color/fur color etc). 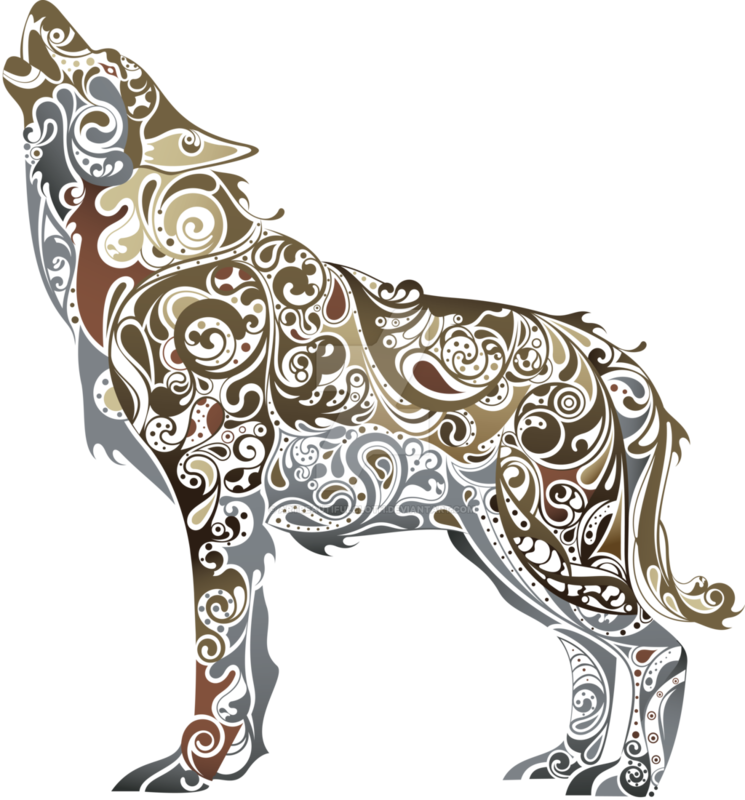 If you come into the clearing and you are playing a fantasy or magical character you will be kindly asked modify your wolf. Failure to abide by this rule will result in a kick. NOTE: There is -some- fantasy that goes on in the pack and role play, but only if your wolf has participated in certain quests to be allowed some fantasy to be applied to your wolf. There is no stopping the world around the pack. This includes human and wolf interaction. Usually the only time the pack experiences any interaction with humans is during a story line setup by the Alpha and/or Beta. If you want to role play a human, you need to first talk to the Alpha and/or Beta to get an “OK” as long as it fits into current role play. Role playing other animals is allowed but please ask permission from the Alpha(s) and/or Beta(s) first. You may NOT join another pack with a clone. Creating/Having multiple characters other than your main character is considered a clone or also known as an ALT. You can have 1 of your clones join the WolfSpirits pack but they cannot hold a “lead” rank and you must be a member of the pack for at least 6 months before you are allowed to have your clone join our pack. While some aspects of rank within Wolfspirits differ from those within a wolf pack, there is one aspect that remains the same; interaction with others. In the past we have made the divisions between ranks a somewhat ambiguous line that most are unsure of. When viewed as a measure of interaction between others of the pack and those that visit it, these divisions become clearly defined. The ability to start roleplay, maintain roleplay, and participate within it on a routine basis is what largely defines the following ranks. Pledges are those wolves who desire to join Wolfspirits. An accepted application and regular attendance within the clearing (roleplay) is a must. This period generally lasts for one cycle between meetings (about 3-4 weeks). During this time it is expected of a pledge to roleplay with other wolves of the pack and meet them in order to both introduce themselves and to get to know whether this pack is right for them. Extended periods of inactivity will result in remaining a pledge for another cycle or removal from pledge status. Assessments are wolves who still desire to join Wolfspirits and have gone through their pledgeship. This is the last trial before becoming a member, and should be taken seriously. The bottom line in becoming an assessment is to have interacted with the other pledges, assessments, and members of Wolfspirits when roleplay is active. During the assessment period (4-8 weeks) a wolf is given the task to learn the rules and history of the pack. To do this, an assessment should interact with members of the Wolfspirits. This task includes starting roleplay when members are present but roleplay is not active. This task also includes looking up or listening to old stories to be familiar with other characters as well as the history of the pack. Extended periods of inactivity will result in either remaining an assessment or being placed back as a pledge. Assessments should notify the Alphas or Betas of any extended time they will be absent. “We are WolfSpirits, now and forever.” You are not lightly taken into the fold and you are not lightly released. A member of the WolfSpirits pack is considered family and, as such, must have displayed devotion and care given to such a consideration. A member of Wolfspirits interacts with other members, assessments, and pledges during times of active roleplay. A member of Wolfspirits has the ability and interest to start roleplay when others are present. A member of Wolfspirits gives notice of any extended absence. A member of Wolfspirits is intimately aware of the pack’s rules and is able to enforce them without extreme guidance. Membership is a lengthy process and a milestone once achieved. This, however, does not give way to idling and lack of participation within roleplay. To remain a standing member, one must continue to display the same standards that gave them that right. Members who are inactive for a prolonged period of time (3 months without notification of a leave of absence) and are no longer interested in roleplay will be notified by the Alphas and Betas and potentially dropped to Assessments for reconsideration of membership. These are members of the WolfSpirits who have diligently maintained the standard of membership and who have displayed an understanding and enforcement of the pack’s rules. It generally takes time and experience to become comfortable enough as a member to enforce pack rules both out of character and in character. To be considered for any rank, a wolf must be active in roleplay and must be able to display an understanding and ability to enforce pack rules both IC and OOC. A ranked member MUST display the ability to begin roleplay when others are present. Rank is also considered based upon how a wolf has roleplayed. If the characteristics of that wolf lend themselves towards being a Guardian, then they might be considered for such a role within the pack. This is the same for the other ranks offered. Rank is not a position of privilege. Rank is a badge of dedication and of leadership within the pack. Elders are those wolves who have the necessary experience within the pack (5 years minimum) to lend advice to the Alphas and Betas. They have consistently shown a dedication to the wolves of the pack both as players and people, and have consistently shown leadership through their actions. This rank is both a badge of humility and honor, worthy of reverence. Elders give counsel to those in need and speak with authority from a place of experience and wisdom. This position is not lightly given and remains with a wolf from time immemorial to the last memories of the pack itself. Betas are the right paws of the Alphas. They speak with the authority of the Alphas, and, as such, have an intimate understanding of the direction of the pack and of its history. They are the leaders of the pack in the absence of the Alphas and help guide roleplay when the Alphas are not or cannot be present. To become a Beta a wolf must have been ranked and must have shown diligence within that rank. Betas are active in the guidance of the pack and actively give advice as to its direction. Betas have the ability to enforce the pack rules both in IC and OOC, and have the ability and interest to spark roleplay when others are present. Our out of character channel is #WS_OOC and we ask that all out of character conversations are diverted to this channel. The reason we have an OOC channel is to avoid clutter in the role play channel with other conversations not in relation to what’s going on. Our OOC Channel is NOT your personal chat place for a single friend. Please take your personal conversations to PM (Private Message). If you are sitting in our OOC channel without engaging in conversation with others, you will be asked to leave. #WS_OOC is also NOT an OOC channel for other channels. Please utilize their OOC channel, not ours. We keep a some what relaxed environment in the OOC channel but don’t mistake this relaxed state for true, untamed freedom. We ask that you please mind your manners and show some respect to not only those of WolfSpirits, but as well to the fellow wolves visiting. Excessive CAPS, spamming, trolling will not be tolerated and will result in a kick after a warning. We have a 0 tolerance policy for drama or constant negativity. Any attempt to start drama will result in a warning. If it continues, or drama is instigated, you will be kicked. If you can’t have a respectful conversation or you come in with a constant negative attitude we ask that you please refrain from visiting. Idling is when you sit in our channels for a lengthy amount of time without indicating that you are away from the computer. If you are idling for more then 30 minutes without an away nick, we will kick you. If you are constantly coming into our OOC channel and have no intention of bringing in a wolf character to role play you will be asked to leave. Advertising of other pack channels & pack websites is prohibited. However you are welcome to post wolf related articles and links. You are also welcome to post links to your own personal art website ( like DeviantART ) to share with others. ApacheWolf is our channels bot. She’s there for pure entertainment and to be a helpful resource to everyone. She comes with some really useful commands which I will repost here from the bots page. I ask that you please be kind to poor, over worked Apache. Please do not spam her and her commands in our OOC channel. It’s annoying and makes her really moody. No one likes a moody Apache. !greet greet here – This will add a personalized greeting with Apache for you. So every time you join the channel, she’ll post your greeting! This will start a game of UNO! If you are not sure how to play Uno I suggest taking a look at this guide. – This command is used to start an uno game. The player that types this becomes player 1. – This allows you to join the game (at any time). – This command starts the game (as long as you have 2+ players). It can only be typed by player 1 (the person who typed !uno). – This command ends the current uno game and can only be used by player 1. – This command allows player 1 to kick people from the current game for some reason like if they don’t know how to play. – This command shows you your cards. – This command shows all the players and the number of cards they have left. It also shows who’s turn it is. – This command shows the top card. – This command draws you a card from the deck. – This command allows you to play cards. – This command shows you how many wins the given nick has. – This command shows you the top 10 uno players and their wins. – To start a game of trivia! – To stop a game of trivia! Hunting in the clearing IS permitted. Visiting wolves/pledges can only hunt SMALL animals such as rabbit, squirrels, mice etc. If you wish to hunt something larger like a deer or elk then a pack member must accompany you with the rank of Lead Hunter or by the Alpha and/or Beta. There is NO over hunting within the clearing. You hunt what you need. New wolves and visiting wolves must ask permission to hunt anything larger then small prey. You may not start a large hunt without the permission of the Alpha(s) and/or Beta(s). Hunting takes skill and practice. Something that is learned throughout your time in WolfSpirits. If you are not sure on how to hunt, feel free to ask a packmember or any available lead of the pack. You cannot meta-game. This means that you run into the forest, grab hold of a hare, break it’s neck and that’s it. We ask that you please role play out your hunt. Below you will find a helpful guide on how to do so! Hunting with the pack is called by the Alphas, Betas or Lead hunter. Pack hunts are a great opportunity for wolves to join in on a fun and exciting pack event. Pack hunt’s are narrated by the Alphas, Betas or Lead Hunter and only they can narrate the prey. Typically the Alpha(s) / Beta(s) will howl, indicating a pack hunt has been initiated. Once all the wolves gather they will then embark to the hunting grounds. The wolves will go through a series of sniffing out the prey. Once prey has been found and picked out the pack will then break out from one another and try to pick out a weak individual. Once a weak individual has been spotted and strayed from the herd then a hunting order will be posted by the Alpha(s) / Beta(s). Make sure you remember your place for once the order is set, then you will post your attack after the person before you. When you attack make sure that you post your attack. We use our hunting bot. To strike you need to type ,,. This will then post your result in the main channel and allow the narrator to post what happens. You do not post your next attack until it is your turn again. You court a wolf first before you can become mates. If you wish to court another wolf then you must have the permission from the Alpha(s). To request to be courted to another wolf just PM/Email/Memo the Alpha(s) for permission. You can also request this IC (In Character). You will be announced as courts through a ceremony at the next scheduled meeting. Courts: Wolves who are ‘courting’ another wolf. This is considered the “dateing” period where you find out whether or not you wish to truly be mates with this wolf. Mates: Wolves who are named a mated pair after going through the ‘courtship’ phase. Mateship is granted upon two wolves by the Alpha and only then can they become “mates”. Pups: If you wish to have pups (breeding season: Feb – May) you have to have the permission of the Alpha. No exceptions. If you’re wolf has pups without permission from the Alpha then your pups fate will be decided by the alpha and you could run the risk of being run out of the pack or demoted. This is a serious offense and will not be handled lightly. Members: A wolf may court another wolf not in the pack yet but only when that wolf has reached the later assessment phase. You may not court a wolf newley pledged. We like to allow the wolf to focus on becoming an assessment first. You must have permission from the Alpha before you can start courting another wolf. To do so, you must approach the Alpha In Character and ask permission to court. Once the Alpha gives her/his approval you will then be named a courting pair at the next packmeeting. This is a formal event where your devotion to one another is announced to the entire pack and recognized formally. Who Can Request To Court? Packmembers and assessments. You do not have to be in the pack yet to request to court another wolf if your intention is to join the pack. You can court a wolf throughout your time as an assessment. You MUST have the permission of the Alpha(s) before you have a litter of pups. There is no excuses. If you fail to ask permission and have a litter of pups be prepared to accept the consequences. To seek permission simply go to the Alpha(s) In Character and request to have pup’s. Breeding season is between February – May. Only during that time can you and your mate have pups. 1. Don’t jump at the first wink you get. Your new to the pack! great! you’ve barely have a week under your belt and suddenly you get a wink and a smile from the alpha and know in your heart she wants your hot body. Easy there tiger. Just because a wolf is nice to you, does not mean they would make a suitable mate for you. Take some time and get to know the wolf first before you make your attempts at their heart. who knows, you might find a good friend instead of a lover. 2. No Means No. It sounds so simple, but in the culture of America we tend to have the problem of not knowing when to quit. If someone doesn’t want to be your mate, so be it. there are plenty of wolves in the sea for you Tiger, and you’ll find one soon enough. 3. Time is the simplest gift. I know it is weird, but the more time you spend with someone, the better you get to know them. If you are seriously considering a potential mate try and spend as much time with them as possible. Who knows, your prince/ess might turn out to be an orc in disguise! 4. Gifts! Everyone loves gifts! but getting a gift that suits the wolf is as important as having a gift itself. Get to know the likes and dislikes of your potential mate so you don’t bring them a batch of delicious berries that they are allergic to. 5. Trust and Sincerity The most important lesson for any eager wolf to remember is the important of Trust and Sincerity in a relationship. Taking a mate isn’t a minor event in a wolf’s life, as such it takes an incredible amount of trust in order to take the plunge. Sincerity is one of the simplest method to gain trust, as telling the truth is always appreciated, even if it is a bit hurtful at times. Well, hope you enjoyed this little primer, I’ll probably delete it later once my sleep deprived brain realizes just how horrid it turned out. If you find yourself dealing with a wolf that really gets on your nerves, whether it be in the OOC channel or the IC channel we recommend that you PM that individual first and see if you both can’t come to an agreement. We’re all adults here and we should act like it. Even if a particular individual just annoys you. If a resolution cannot be made in PM please seek guidance by either the Alpha(s) or Beta(s) or any packmember. If you don’t feel comfortable talking with another packmember, please at least let the Alpha(s) know. We don’t want anyone to feel as though they are not welcomed or feel like they cannot participate because another individual. We will do what we can to work on a mutual agreement where you two can at least enjoy role play. Does this mean that every annoying wolf gets to skate by and still be annoying? No. If we find that your behavior isn’t fitting to our environment or immature we will tell you and ask that you kindly refrain from such behavior. If you continue you’ll be banned. Again we are all adults here and we expect such attitudes and maturity.